Apart from the key not working necessitating a few trips back to reception, the stay was excellent. The staff were exceptionally helpful, professional and friendly.Staying at the Alto was perfect. We enjoyed the apples provided at the entrance to the restaurant for breakfast as we had an early flight to catch. Thank you Deborah. Surprisingly pleasant, the room was much nicer than i anticipated. The free WiFi was a very unexpected bonus. Fantastic place to stay - would definitely stay again. The room was wonderful and large. The massage chairs and coffee machine were fabulous. Thank you for a perfect experience. Fantastic as I've come to expect. Perhaps have a rating for food as well - the breakfast bruschetta is excellent and the dinner is good also. I was only there for a short time but found everything to be great. I would return both on my own (hotel room) and with family and friends in larger rooms. We love the Alto, second stay and will be back again. Location was great. Staff extremely pleasant and helpful. Apartment very clean and had everything we needed. Bit noisy in the mornings with all the building work going on at the back of the hotel. I really like the Alto. I like the philosophy, location and low key nature of the hotel. I did request a quiet room and didnt realise until I was in bed that the trams outside were very, very noisy. Yes, the windows once shut are very effective in reducing the noise, however, opening windows is one of the reasons I have chosen to say at the Alto this time and in the past. Last time I was further down the corridor. Next time, it would be great to be placed further away from street noise as requested. The staff were really nice and very helpful, the service was really great and we enjoyed our stay with the kids. The hotel was close to everything and we will definately come back. Positive experience. Location, comfort. staff, service all commendable. A good nightys sleep in pleasant surroundings. Great breakfast. Love the location and the staff are excellent, always helpful and accommodating. Rooms are clean, well serviced and quiet. Great breakfast. We were very happy with the accommodation, not sure if the mattress was a bit firm as we woke up with aches on the side we slept but otherwise we found the staff to be helpful the location perfect and whole experience was outstanding. Thank you very much. It's become our home away from home when in Melbourne and we recommend to friends and family for all the reasons above. Great place, great staff, great extras. Our only concern is that the room was a little small for our big luggage but that was almost a non-event. Highly recommend the Alto to anyone visiting Melbourne. Had a fast and friendly check in and a pleasant stay. I was very pleasantly surprised by the high quality of service and the cleanliness of the whole hotel. Every detail had been thought of. I would highly recommend to people to stay at the Alto. We will be back! staff were fantastic and always helpful and knowledgable. Alto is close to everything we wanted to visit while in Melbourne. We're definitely coming back to Melb and when we do we won't hesitate to stay again at the Alto...p.s. great pizza around the corner at MPB!! Very pleasant stay but missed view from windows - could only see next door wall. Alto Hotel is a low rise heritage listed building with a small frontage to Bourke Street and adjacent to Langs Lane. Most rooms are located on the side of the building overlooking Langs Lane. A portion of the Lane is narrow and the outlook from these rooms (a limited number of our rooms) is of the adjacent building. 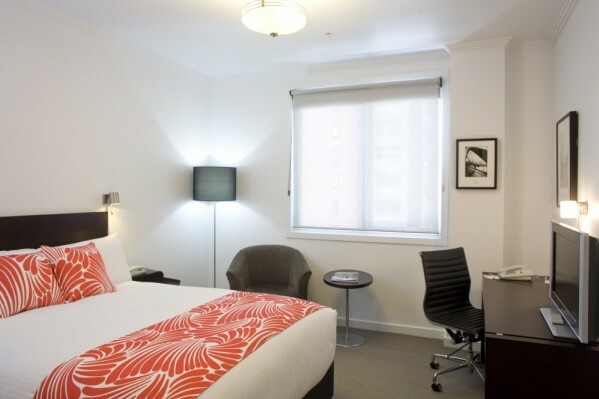 Being a boutique low rise hotel in a large city of tall buildings the outlook from most rooms is of the surrounding area and nearby buildings. We found the location, the staff and the total experience very good. I love being able to open windows and sliding doors, however the noise from the airconditioning motors on the building next door made it unbearable. We certainly appreciated the helpfulness and friendliness of all the staff. We found the hotel to be in a great location, and the facilities were well maintained and beautifully clean. Myself and my friend both thoroughly enjoyed our stay and we will happily recommend Alto to anyone planning on staying in Melbourne. We really appreciated being able to safely store luggage after our arrival (prior to check-in) and after our check out (prior to departure to airport). We were also very thankful that on the afternoon of our checkout we were still welcome to sit in the lobby, have a cuppa and relax before our journey home. Lauren was an absolute gem, but we found every single staff member to be cheerful and accomodating without being overbearing. Good service like yours can make a real difference to a travel experience. Thank you Alto. Really nice, clean and comfortable, and friendly, helpful staff. I would definitely recommend the hotel to others. The checkin staff were wonderful. Very helpful as I had 2 young children with me. I had pre organised a porta cot and it was all set up and ready to go - that never happens at other places! Great location, close to tram and train. I would definetly recommend it. Very enjoyable stay, loved the masage chairs! Clean and well arranged rooms. Pleasant experience. There was an initial wait of approximately 10 minutes at reception prior to check in due to there only being one person at reception and the phone constantly ringing. We arrived at approximately 2.30pm after booking online for a 2pm check in and we had another 1/2 hour wait as the room wasn't ready. These delays made it difficult with a 5 and 6 year old, the oldest being Autistic. Staff then made us comfortable in the relaxation room with massage recliners which was lovely. We are sorrry that there was delay in attending to you and having your room ready. We try to meet as many of our guests requests as possible however on some occasions when most guest request late check out it can conflict with arriving guests. We prioritise cleaning of rooms based on estmated arrival time. I noticed that your estimated arrival time was not transfered from the online booking to our reservation system, hence your room had not been prioritised. We apologise for the delay, I am glad that you were made comfortabel and utilised the massage chairs while you were waiting. Very pleasant. Helpful and personable staff. Wifi and coffee on tap were nice touches. Great place, discovered via internet search and associated comments. ALL staff were wonderful. Breakfast and dinner chefs produced great meals. Not 'over the top' flash meals - just great meals. Meal prices and drinks prices were lower that most other places. Free internet and free massage chairs and free books (exchange) were all greatly appreciated. Again, all staff were wonderful.